Auto accidents can be stressful, from dealing with insurance to fixing your car. However, seeking medical attention should always be a priority after an accident. When your body is jerked forward and then backward suddenly, whiplash can occur, and if left untreated, this injury can become chronic pain or lead to a worse injury down the line. At Renew Chiropractic, Dr. Jason Jumper has extensive experience and skill with treating whiplash and other injuries related to automobile accidents in Lakewood, CO.
Whiplash is a term applied to injuries that occur to the neck when it is whipped in one direction and jolted in another. Although this injury is common during auto accidents, it can also be incredibly damaging. Many whiplash injuries involve sprains—which happen when the ligaments that support, protect and restrict vertebral movement are torn—and strains—which occur when muscles and tendons in the neck are stretched beyond their normal limits. Even the discs between vertebrae in the cervical spine can be torn with whiplash, resulting in disc herniation. The most common symptoms of whiplash include pain and stiffness in the neck, muscle spasms and headaches at the base of the skull, and these symptoms can last for weeks or months, and even years if left untreated. Dr. Jumper can accelerate healing and ensure that your injury does not persist by providing quality chiropractic care. With specific adjustments, therapeutic exercise, and soft tissue treatment, the chiropractor can help control your pain and return you to optimal health. If you’ve been in an automobile accident, whether you feel pain or not, you should schedule an appointment with Dr. Jason Jumper of Renew Chiropractic in Lakewood, CO to ensure that your accident doesn’t cause you pain long after it is over. Call for an appointment. 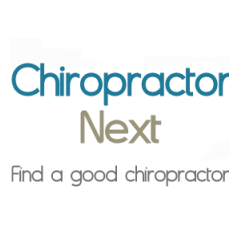 For more information about the chiropractor or his services, visit ws6.